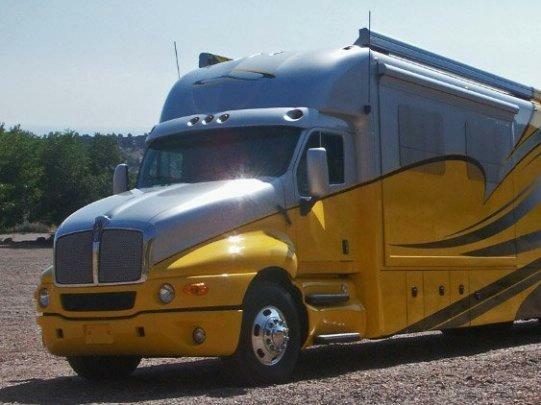 Five-R, sales for Silver Crown rv / motorhome Pony Xpress motorhome and toter home ( compare to renegade ) Host RV, Continental cargo trailer, ATC trailer, W-W trailer, rance trailer, car trailer, utility / cargo trailer dealer, and a service facility; Home. Five-R sells and services top of the line motorhomes, toterhomes and trailers. We carry; Silver Crown, Pony Xpress, Host motorhoms, and Toterhomes by Pony Xpress. Five-R also carries a wide variety of trailers including; car trailers, dump trailers, stacker trailers, atv trailers, race car trailers, and cargo trailers. With all of the products we sell we offer full and comrehensive service to assure your experience is a rewarding experience.